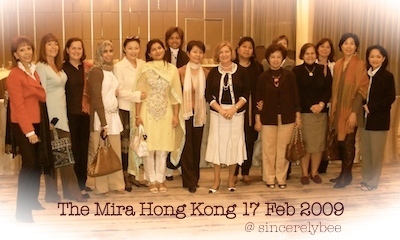 A MORNING TO remember at The Mira, Hong Kong, spent with friends, back in 2009. We got to see the refurbished hotel in Tsim Sha Tsui, months before its grand opening that September after its rebranding from former Hotel Miramar. This entry was posted in Heavenly Hong Kong and tagged Friends, Hong Kong. Bookmark the permalink.